Enter the Cub Scout Adventure Program! It appears as if Cub Scouting is about to be reinvented, to take it away from a formula checklist of activities and lessons and move toward a series of adventure experiences that dens can share and take part in together. This is great news, not only for the boys, but for leaders as well. Rather than keeping track of activities toward achievements, and achievements toward ranks (with intermediate recognition along the way) and a maze of “one from column A, two from column B, and this doesn’t count if you do that” organization (Bear leaders, you know what I’m talking about! ), Cub dens will embark on a series of adventures, roughly one per month, and the rank is earned once the core adventures are completed. It will help move away from boys doing a list of requirements to doing the things that Scouts do, further defining our movement more by who we are than by what we do. The new model takes a cue from the current Tiger Cub program, the basis of which is five achievements, each consisting of three elements including a “Go-See-It.” The Adventure Program will extend that model to the Wolf and Bear core programs. Each achievement has three parts, one of which can include a field trip, and achievements are intended to take three den meetings to complete. As with the current program, there are elective activities along the same lines, which can be done once the core achievements are complete. Each rank has just five core achievements, and each achievement will have some kind of recognition item the boys can wear, replacing the current Tiger Tracks and Progress toward Ranks beads. And rather than the current lesson plans, we’re promised a den leader guidebook for each rank, so the leader can visualize the entire year in one publication. These Adventure Program achievements are just that – adventure for the boys, and fun for the parents and leaders. The topics they cover incorporate the core values of Scouting without being too stiff, structured, or bent to conform. Tigers will explore our animal friends, healthy eating, the outdoors, playing games and getting along with others. 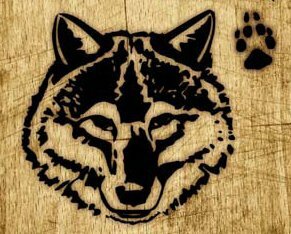 Wolf and Bear Scouts will have fun helping others, performing for a group, telling jokes, using a pocketknife and being physically fit, and expanding on the topics covered by the Tiger program. Webelos Scouts aren’t left out of the transformation, either. The first-year core includes cooking, hiking, fitness and emergency preparedness, while the second-year core features aquatics, camping, citizenship and preparing to transition to Boy Scouts. As now, there will be lots of electives to have fun with. All ranks include a Duty to God adventure, which are intended to be completed at home, but may also be done in a den setting. Completing these adventures as a den could be particularly meaningful where all participants are of a single faith. Naturally, all the program materials will be changing. Boys will have new handbooks to work from; den leaders will have program guides, and orientation training for council, district and unit-level Scouters will start to roll out this summer at the Philmont Training Center. Materials will be available by May 2015, and the new program starts in the fall of 2015 for all Cub Scout packs. The current Academics and Sports program (belt loops) will be retired as well. This will undoubtedly result in a sigh of relief from pack treasurers and advancement coordinators, but I’m sure those boys who like to collect these shiny tokens of achievement will be disappointed. It will no longer be necessary to first earn the Webelos rank before going on to earn Arrow of Light. Some will say this shortcuts an essential part of the transition process, but I’ve seen many instances where a boy who wants to join is stuck agewise between Webelos and Boy Scouts. He’s too young to join a troop with his friends but too old to complete the full requirements for Arrow of Light. This step will eliminate that hurdle and allow more boys to transition to Scouting with their friends – particularly when their friends have discovered the fun of Webelos and the promise of adventure to come. The overhaul is part of the 4-1-1 initiative we’ve discussed previously, and the national council is very forthcoming with updates and information on the changes. 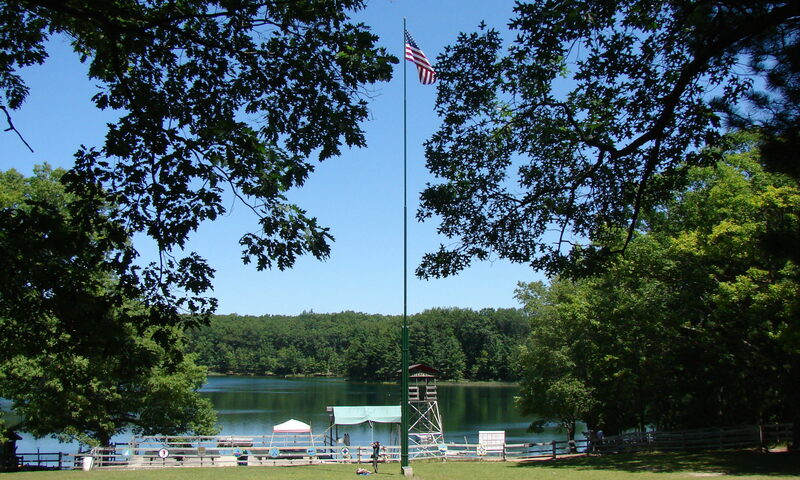 The Cub Scout Adventure Program is, in my opinion, the most exciting change to the Cub program in the many years that I’ve been involved – probably in several decades, in fact. Except for a few tweaks, the current program hasn’t changed a whole lot since the dawn of Webelos. I’m excited about the new program and the prospects that it will hold the interest of our Cub Scout-age boys and their families, and help to stem the shrinkage in our membership. Our pack does participate in the Academics and Sports program and the Scouts LOVE working on belt loop and pin achievements – I hope they give careful consideration to the gap that will be generated for some of the high-engagement Scouts. The program offers a lot of exploration into areas that Scouts may not otherwise dive into – also gives Den leaders an incentive to offer fun activities with a tangible reward for participation. I think that when it is taken away, it will put a bit of a burden on the leadership to come up with trinkets and totems for participation to keep the boys interested – kids love to collect patches, beads, etc. and this was a recognized part of the uniform that is being taken away. I’m glad to see the tighter integration of Tiger Cubs as Tigers and treated less of a second-class Scout (throwback from the older days when it was a separate program). The Duty to God component is a welcome addition – we must not forget A Scout is Reverent. If they want to streamline the Cub Scouting program they should also consider the uniform; further cross-rank standardization and simplicity may go a long way. Changing so many uniform components between ranks doesn’t really help anything – distinguishing neckerchiefs and headgear may visually pick out scout ranks from a distance, but socks, belt buckles, and slides do little except add cost to the program for our parents. These are great observations. The Academics and Sports belt loop program is very popular with many Cub Scouts, but others just don’t seem to be as interested. Maybe it’s the parents or den leaders who don’t know about the program. And the recognition items can be costly for the pack, especially if a boy fills up his belt. There’s no reason a pack or den can’t continue to use the program and do the activities; there just won’t be any belt loops or pins available, so leaders may want to make up their own recognition devices, or a third party insignia provider like ClassB.com could introduce their own. If the demand is there, someone will fill it. My feeling is that the committee that developed the changes looked for ways to simplify the program and its elements, and found the A&S program to be counter to that aim. I also agree with streamlining the uniform. I’m in the process of working with our chartered organization and council in starting a new pack, and put together a list of required uniforms and insignia. It’s daunting, plus it currently requires new items each year. I feel it’s too much to ask a family just getting started to pay the $24 annual registration fee plus some amount for pack fees, plus another $50+ on uniforms, books, and insignia, plus more items each year. As long as we keep the rank neckerchiefs (a central element of Scouting worldwide), maybe we could simplify by having just one neckerchief slide and optional hat for all ranks, and forget about official BSA pants. By comparison, the Girl Scouts USA uniform is simple: just one required item, like a vest or sash – that’s it. I’m sure a change like that would meet with resistance from the national council, though, because Supply Division wouldn’t bring in as much revenue, but I think it would be welcomed by families. As you can see, the STEM/Nova heavily relies on the Academic Beltloops and Pins. Does this mean that my rising Webelos will need to complete the requirements for his Super Nova Award before May of 2015? I have some serious concerns about the radical changes in the Cub Scout program. For instance, our pack only meets on school nights and we only have 19 den meetings during the calendar school year. 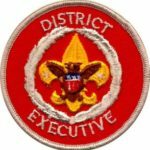 This means that many of the adventures which require outdoor activity will be that much harder to accomplish, not to mention if a Den Leader is unavailable and a den meeting has to be cancelled (which happens) that will put that den under more pressure to get the adventure completed in time for earning rank. I also have a BIG issue with the elimination of the academic and sports belt loops. Once our den finished the core program last year, we were able to work on 6 different belt loops. We even started the NOVA program for the entire pack. Now with the belt loops going away, what will happen to the NOVA program that relied on them as part of it? Critics say it’s a huge cost to the pack, but adventure loops will cost packs just as much, if not more, since they are now the official recognition device. Any pack that had a surplus of beads will now be stuck with them (crafts, anyone?). Granted, I’m not saying I’m going to miss the beads. Adventure loops seem more practical. All in all, I think this is too much change, too soon. As accustomed as parents are in my pack to the “old” program, I think I’m going to have a difficult time recruiting more parents as leaders. Maybe I’ll feel better once I can get my hands on the handbooks and page through them, but I can already see some serious issues with the new outdoor focus colliding with our local meeting time and climate. Ken mentioned Adventure Loops, which hadn’t been announced when the original article was posted. Scouting Magazine had a post about the new program last week. They say most of the activities in the current program are being carried over to the new program but it won’t mesh perfectly. Hopefully they’ll clarify how the new recognition items fit in with the NOVA program before it officially rolls out. And they say there are still elective activities that can be used to fill out the program year once the rank is earned. Understandably, many packs and dens are active mainly during the school year, but Scouting is a year-round program so consider having a couple meetings over the summer to do those activities that are best done outdoors. May and September can get very busy, so if you can use the slack time in the summer months to get together that can help ease the calendar a bit. And don’t be afraid to bundle up and go outdoors in the winter – there’s still plenty to see and do and the boys don’t mind. The solution to the problem of having to cancel a den meeting if the den leader isn’t available is to have an assistant den leader who can take over if needed. The den leader and the assistant plan the meetings together and you have a backup plan in case you need to change things at the last minute. People are much more willing to volunteer to be an assistant than to take the leading role. Our youngest son is in that privileged group that will be Webelos in the Old Program & AoL in the New Program. I lead his den. Our older boys both earned the Super Achiever (20 pins completed) award and this son is no different. He wants to do what his brothers did. I haven’t seen anywhere where this can be accomplished except to stay with the old program the whole time. Yet, I don’t want to force the whole den to stay with the old program when the new one seems so awesome. The Webelos dens that start with the current program this fall can complete Arrow of Light without transitioning to the new program, so if you’d like to have them continue earning activity badges you may do so. Whether to change to the new program in midstream or stay with the current one is a den decision. Perhaps you should sit down with the parents and discuss how they’d like to proceed. Then, present it to your Scouts and see what they think. You may find they’d like to stay the course, rather than changing to a new program with nine months to go. The fall and winter of the second Webelos year should be spent less on completing Webelos achievements and more on doing things with Boy Scout troops anyway. Remember that the whole purpose of the Webelos program is to present a seamless transition to Boy Scouts. The Adventure program is being continuously updated and new elements are being announced. The most recent draft version (PDF) came out in February after my original post went up, and has a lot more details including the proposed core achievements and electives for each rank. It has since been augmented to describe the Adventure Loops recognition devices as announced at the annual meeting last week. Note that even though it’s sold by BSA Supply Division, the “Super Achiever” award is not an official BSA advancement item; however, it certainly can be used by your pack and may also be recognized by some councils. (Variants include the “Summit Award” for reaching the top, and the “Heavy Shoulder” award, for wearing so many pins on the Webelos colors.) The Compass Point emblem and arrowhead devices are the only official recognition for earning multiple activity badges, and that goes up to nineteen. The nine core achievements plus 19 electives in the new program will give boys something more ambitious to shoot for, and I wouldn’t be surprised if Supply Division or one of the suppliers (such as Boy Scout Store) will come up with an equivalent patch that you can award.